Click on the image above to see an enlargement. 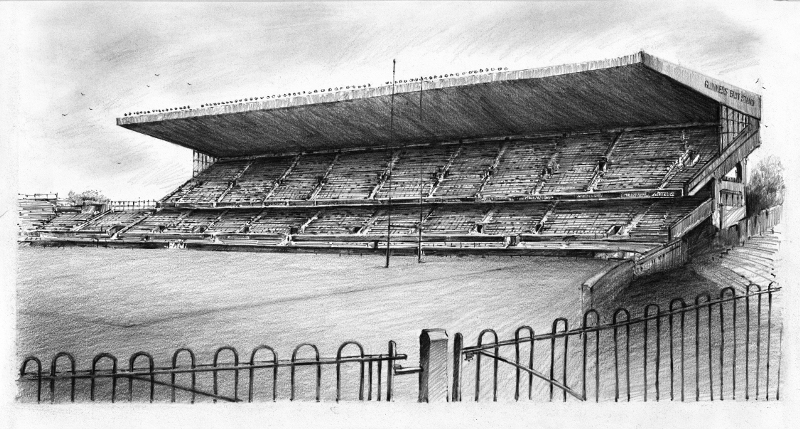 Title: East Stand, Lansdowne Road. Original: Sold. Medium: Pencil on Paper. 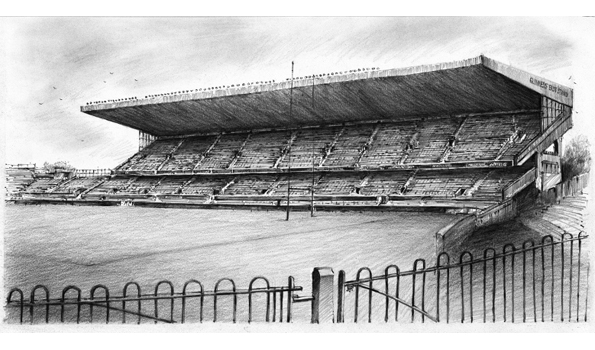 Limited Edition Prints: Available from IRFU. Size: 27 x 70 cm. Price: Determined by IRFU.